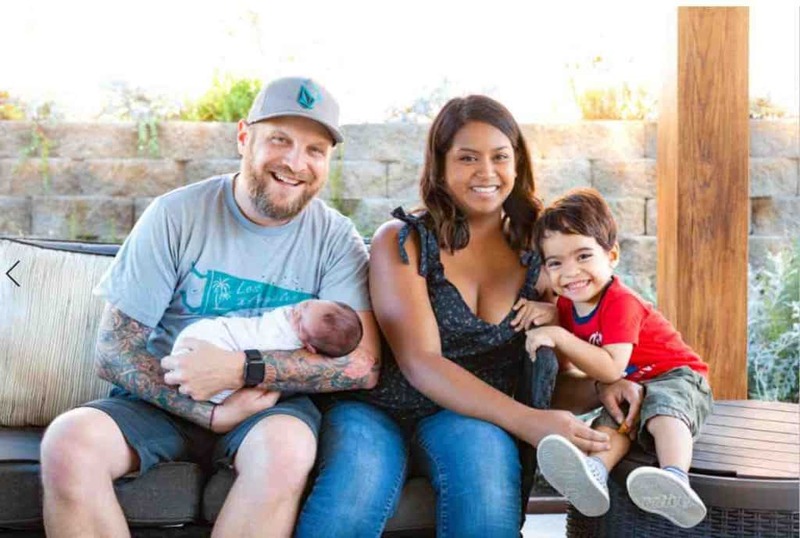 In this article, we’re going to look at and review what WE personally feel are the 10 Best Stokke Strollers in the USA. Stokke is an 86+ year old Norweigian brand specializing in children’s products. It began operations in 1932 as a manufacturer of furniture. However, after the success of its iconic Tripp-Trapp chair in 1972, the company began focusing on kids’ merchandise such as strollers, accessories, bassinets and so on. Stokke strollers are renowned for being safe, comfortable and innovative. This is definitely a luxury brand of stroller, and the prices and the quality of the build reflects that. Their legendary Scandinavian quality and contemporary design ensures that the strollers are reliable, durable, ergonomic as well as good looking. Stokke’s range of strollers includes urban and all-terrain options with loads of convenient features such as height and angle-adjustable handlebar. Having said that, Let’s take a look at the 10 best Stokke strollers in the USA. Includes Xplory stroller plus bassinet. Stroller accepts kid weighing 45 pounds or less while carry-cot is usable from birth up to 6 months (20 lbs). • Comfortable seating – lots of soft padding, depth and height adjustable. As you may have noticed, Stokke strollers are almost flawless in terms of design, quality of construction and ergonomics. Yes, the prices are a bit steep but then, the strollers are very durable and most of them can be used from birth so there’s no need to upgrade as the child grows. I hope that you enjoyed going through the best Stokke strollers in the US. Please share your thoughts in the comments below! This special edition set includes the Xplory V4 stroller, parasol, rain cover, mosquito net and cup holder. • Reversible stroller seat reclines to 3 positions when facing parent and 2 positions in forward facing mode. • Adjustable footrest – feet do not dangle. The Xplory is manufactured in Europe from car-grade polymer and aluminum. It is so easy to steer that you’ll only need two fingers. (Some parents claim to use just their pinky!) The Xplory meets or exceeds all US safety standards and comes with a limited 3 year warranty. • Extremely comfy seat is height adjustable and reclines to 5 positions. Can be used from birth all the way up to 3-4 years or 45 pounds. Seat pads allows parents to adjust depth too. • Instead of a conventional mesh-basket, a shopping bag straps on to the base of the stroller. Parents can carry all items along if they wish to leave the stroller behind – very cool and thoughtful feature. • Compatible with select car seats. The Scoot is a compact stroller meant predominantly for urban use. Perfect for those who want a compact little stroller that’s still comfortable and spacious. • Seat reclines to 3 positions in both parent and forward facing mode. • Swivel locking front wheels for easy steering. • Engineered suspension – plush ride quality. On-Off footbrake. • It can be converted into a travel system as it’s compatible with select models of infant car seats. • Not meant for off-roading. This set includes the stroller and a bassinet. Stroller is usable from birth up to 45 pounds. Bassinet can be used until the baby is 6 months old (up to 20 pounds). All components are made in Europe. The stroller is manufactured using aluminum, high grade polymers and premium fabrics. • Seat reclines to 5 positions. A premium all-terrain stroller, the Stokke Trailz is always ready for adventure. It’s equally at home in the city or out in the countryside. • Stout stance lends stability. Looks good. 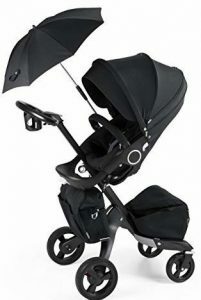 7) Stokke Black V5 (Complete Set): Includes the Xplory stroller plus parasol and cup holder. 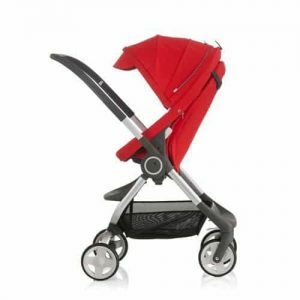 Suitable from birth when used with Stokke Carrycot (sold separately). Maximum carrying capacity 45 pounds or less. • Reclines to multiple positions. The Trailz is a fantastic all-terrain stroller. It is rugged, smart and most importantly, comfortable even on bumpy terrain. Despite being a full size stroller, the Trailz folds quickly and is not overly bulky – goes through a standard doorway without skipping a beat. The water-proof storage basket is thoughtful and practical. • Height and angle adjustable handlebar – find your perfect fit! • Compatible with Stokke car seats without adapters. Accepts other makes too but adapter needed. The Xplory V5 is the latest iteration. It packs all the award winning features of the original Xplory PLUS a lot more. Available in 7 exciting colors. • Seat reclines to multiple positions. The Stokke Scoot is the epitome of the urban stroller. It lightweight, compact, smart, durable and comes loaded with convenient features such as a rotation-adjustable handlebar and spacious storage basket with access from all sides. Choice of two colors. • Roomy seat with adjustable harness. Overszed hood with SPF50 protection. • Nothing to dislike here. Does everything that a modern city stroller should. Build quality is second to none.